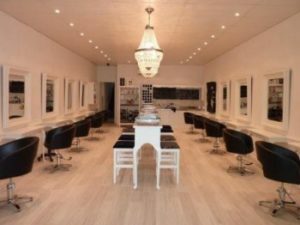 Our focus is to bring our clients the most up to date hairdressing techniques and trends. Our award winning stylists provide specialized cut & colour work and is a key feature of the salon. “Goldwell”, “Kerastase” “Kevin Murphy” & “Il Makiage” products are used for professional purposes whilst retail products available are “Kevin Murphy”, “Il-Makiage Cosmetics” , “American Crew” and “Kerastase”. Our dedication to our clients continues after they leave the pampered salon environment with a comprehensive follow up service to ensure total satisfaction. We are a supplier of GHD styling Irons and offer a free usage lesson with each purchase. We also have gift certificates which can be catered to your needs and are an ideal way to give one of our luxury treatments to your loved ones.